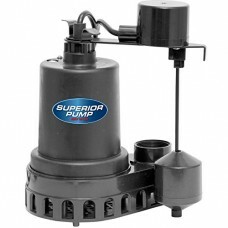 Superior Pump is a family owned and operated Pump Company specializing in residential / light commercial duty pumps. 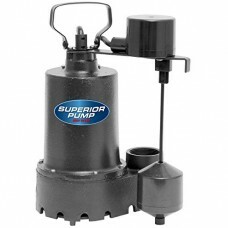 Headquartered in Minneapolis, Minnesota, Superior Pump was founded in 1999 after spending years in the pump industry dating back to the 70's, and with a plumbing background starting in St Paul Minnesota dating all the way back to 1885. 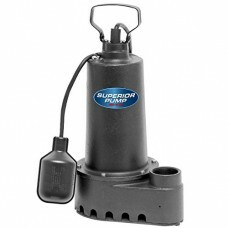 Superior Pump adheres to our strong core family values, selling the absolute highest quality product possible at a fair cost. 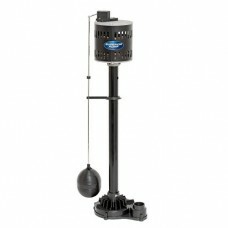 We concentrate on the little details when building a pump, putting all of them together to make one of the most durable pumps on the market. 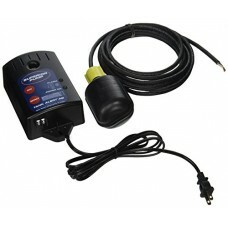 The Superior Pump 92060 Pump Alarm System provides early war..
92330 Features: -Switch type: Tethered. 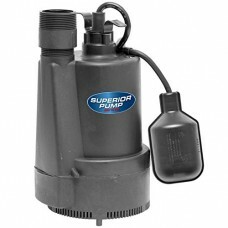 -Can be used as a ut..
FeaturesPedestal sump pumps 0.33 hp For use in sump basins 1..
1/3HP split capacitor motor - high efficiency - low draw, 10..
Features0.33 HP split capacitor motor - high efficiency - lo..
1/2hp heavy duty split capacitor motor - hight efficiency -l..
superior 92507 1/2hp 120v submersible sump pump cast iron1/2..